Place all "syrup" ingredients in a blender and pulse until smooth. If necessary, strain (using a metal sieve and a whisk) and discard solids. Use over crushed ice. Refrigerate leftover raspberry mixture. Now that is summer, my thoughts turn to snowballs. A regional Baltimore treat, they are made with crunchy, finely crushed ice and served in cups, often topped with gooey, soft marshmallow or a small scoop of vanilla ice cream. They are not to be confused with snow cones (shaved ice in a cone) or shave ice (a Hawaiian treat of very finely shaved, snowy ice topped with syrup). In Baltimore, just about every neighborhood has a snowball stand, ours is right down the block and sometimes, if you're lucky, they have homemade flavors in addition to the usual Koldkiss. The snowball stand I went to as a kid was run by an elderly lady who sold cow tails and other cheap candy, slices of homemade cake and zucchini bread and her homemade chocolate snowballs. They were so good! I have to master chocolate next. And marshmallow. 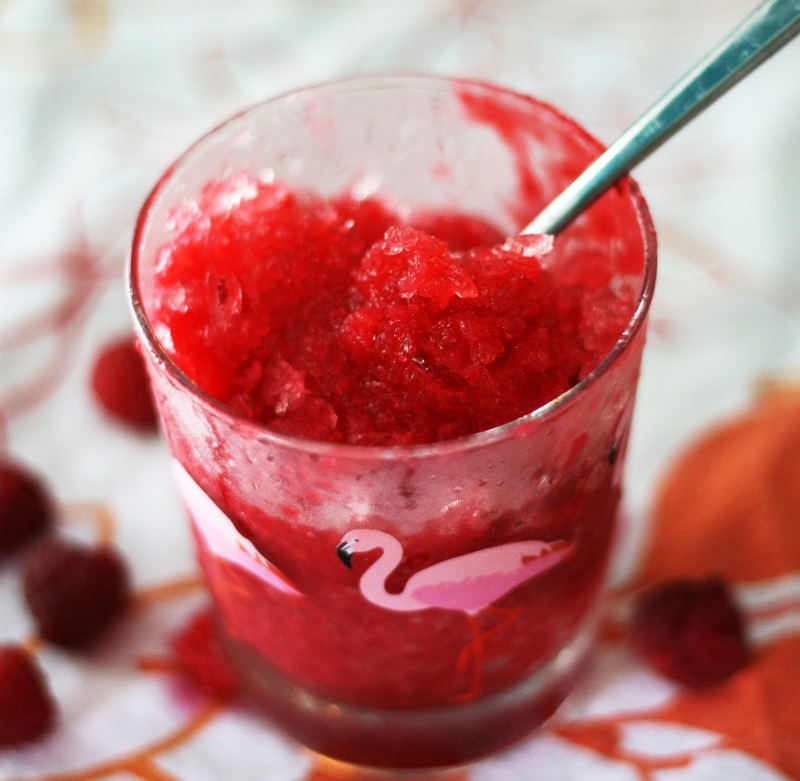 Our raspberries are ripe now, earlier than usual, so I thought I'd make my own fresh fruit snowball (or if you must, sno cone) "syrup" with no artificial dyes or HFCS. I'm so glad I did! Like a good Baltimorean, I like an egg custard (the original snowball flavor because it was so easy to make) or blood orange snow ball but for raspberry, you can't beat homemade! It was refreshing and perfectly sweet-tart from the the mix of fresh raspberries and lime juice. Sort of a grown up version of the neon red stuff up on the corner. For the ice, you need to use an ice shaver that can make coarse ice (there are many home models available cheaply that can be adjusted to make coarse or fine ice) or get ice from your local snowball stand and run home.